The Life Center has a diverse team of staff and consultants to deliver the promises of each of our focus areas. Sheldon Nix, Ph.D., M.S.W., is our founder and Executive Director. He earned a B.A. from Princeton University, a Masters of Social Work from Hunter College School of Social Work in New York City, and earned the Ph.D. in Counseling Psychology from Michigan State University. He has also received over 12 years of training in life coaching, career coaching and small business coaching/management from Coach University, the Graduate School of Coaching (now CoachVille) and the E-Myth Mastery small business coaching program. Dr. Nix is the founding Executive Director of The Life Center, a Delaware-based nonprofit organization that operates a variety of programs, including the Delaware Fatherhood & Family Coalition, a 120-member state-wide coalition of agencies and community leaders promoting fatherhood. Dr. Nix also offers professional counseling and psychotherapy on a limited basis to various persons in the region. Previously, Dr. Nix for 15 years was a (tenured) Associate Professor of Counseling at Eastern University in St. Davids, PA, and for 7 years chaired the Department of Counseling. He also served as a college therapist. Prior to Eastern University he was the founding Director of The Family Center at Cooper Hospital and, even earlier, National Director of Black Campus Ministries with InterVarsity Christian Fellowship, helping to develop programs for African American college students around the country. Dr. Nix was ordained a Baptist minister in 1985 by Rev. Lester D. Stone at Friendship Baptist Church in Lansing, MI. In 2006 Dr. Nix became the Founding Pastor of Life Worth Living Fellowship in Wilmington, Delaware and pastored the church for 9 years until he successfully orchestrated a long-planned transition to the Assistant Pastor for the next stage of the church’s growth. Dr. Nix has over two decades of building small businesses, from a telecommunications network marketing business many years ago (300-member downline, 2,000+ customers) to an internet-based information marketing business focused on assisting 4,000 professionals in private practice. He also co-founded and developed a $2 million/year training and consulting organization in 6 years focused on helping nonprofit organizations. He has been a central player in raising over $15 million in grant funds, mostly federal. 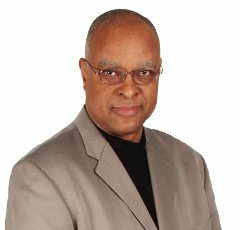 As a coach and consultant, Dr. Nix has consulted with various kinds and sizes of organizations around the country on strategic planning, program/service design, business development, and staff development/talent management. Dr. Nix is currently training to become a Certified EMyth Small Business Coach. Dr. Nix is the Founder of Project Manhood (www.projectmanhood.com), a program that promotes the wholistic development of boys and also coaches men in developing an extraordinary life. Over 60 churches across the country and several schools have operated a Project Manhood program for boys, some for over a decade. Dr. Nix has led many intensive men’s groups and men’s retreats. Let the Journey Begin: A Comprehensive Curriculum for Leading African American Boys Down the Road to Manhood. Becoming Effective Fathers and Mentors: A Guide to Prepare Men for the Task of Mentoring and Fathering African American Boys. How to Deal with Difficult People (When Strangling Isn’t an Option).